Let’s build the tech future together at BestRoboFest! Technology has become an integral part of our lives. It has changed everything, even our childhoods. 20 years ago, children used to play games outdoors, cycle, play football, or build forts. Now, the younger generation rides scooters, spins spinners, and watches TV. Children spend most of their time online and are completely addicted to their high-tech toys. The Founder of Association Noosphere, Max Polyakov (Maxim Polyakov), believes that the technological revolution has only started. That’s why one of the main goals for society should be promoting engineering among children. One of the most useful educational forms can be a robot festival. Robot festivals like BestRoboFest, founded by Max Polyakov, are designed to show children new technologies and to lay the foundations for human-computer-robot interactions right now, in order to create robots that will be useful to humanity in the future. What Exactly is BestRoboFest Founded by Max Polyakov? BestRoboFest is an all-Ukrainian festival for the whole family, founded by Association Noosphere and philanthropist Maxim Polyakov. The first BestRoboFest was held in 2016 in Dnipro and since that time, it has become one of the most anticipated events of the summer. BestRoboFest is a social project aimed to discover the racing capacity of Ukrainian innovators. Founder of Association Noosphere, Max Polyakov, highlighted that Ukraine is a world leader in engineering. He believes that Ukrainians have great potential in a lot of spheres like wearable devices, the Internet of Things, and rocket production. Innovations from all these fields are usually presented at the BestRoboFest expo-zone. Moreover, BestRoboFest, initiated by Maxim Polyakov, is a family-friendly festival with a lot of free activities for children and adults like Arduino, Scratch, and 3D printing workshops for beginners. Also, the festival guests are able to handcraft rocket models or even a robot. Everyone is able to find an activity they like and discover their engineering potential. Arranging a huge festival in robotics like BestRoboFest is not an easy task. Nevertheless, the organizers, led by Max Polyakov, decided to launch it in 2016. They got warm support from everyone fond of robots and engineering. BestRoboFest 2016 attracted 34 enthusiasts of robot builders from 6 to 60 years old. It became a completely new type of family-friendly event. It was the first time a family festival had been dedicated to robotics and innovations. robo-gardener, and a lot more. The festival guests were welcomed to construct simple model rockets, or taste some delicious goodies at the food court. All the festival activities along with the willingness of its participants to have fun and learn more about modern technology made a marvelous atmosphere at the event. The aim of BestRoboFest, arranged by Association Noosphere and Max Polyakov, is to popularise scientific and technical achievements and show festival guests the main Ukrainian and foreign technologies in the field of robotics and engineering. a military startup that reduces the time it takes to identify a target and fire. The most promising ideas were awarded with 15 000, 10 000 and, 5 000 UAH grants. Visitor feedback showed that the most exciting part for adult engineers was the lecture course, organized within the framework of BestRoboFest, set up by Max Polyakov. Successful tech enthusiasts from all over Ukraine shared their experience on startup launching, running a crowdfunding campaign on Kickstarter, and making money with your brain. Nasa Space Apps Challenge finalist, Evgeny Shcherbina. In addition, one of the biggest tech enthusiasts of Azerbaijan, Rashid Aliyev, also visited BestRoboFest to present his promising startup for blind and visually impaired people, BraillePad. Founder of BestRoboFest, Maxim Polyakov, believes that these great speakers are able to inspire all festival guests and young tech enthusiasts to innovate and discover. The festival, arranged by Association Noosphere, each year gathers more and more people who are enthusiastic about robotics and engineering from all over Ukraine. Thus, the number of festival visitors grew by over 7000 in one year, from 3000 to 10 000 attendants. Moreover, BestRoboFest 2017 moved to a bigger venue and launched two new zones - the MonsterCars zone and the Art-zone - which gave festival guests an opportunity to visit and release their creativity. According to the visitor feedback, these two zones were certainly the crowd pleasers. As usual, Max Polyakov’s initiative, BestRoboFest 2017, united spectacular "battles" of robots, an exhibition of technology-novelties and workshops from the leading robotic studios in Ukraine, a show of monster vehicles, MonsterCarsUA 2017, a battle of street food teams and an eating сontest. The festival also included a children's playground, and awesome photo zones. There are not many events aimed at encouraging engineering skills and gaining experience in robotics in Ukraine. BestRoboFest, initiated by Max Polyakov, is one of the biggest venues where children, or even adults, are able to build new skills, compete with other robot builders, and exchange their knowledge. The most important qualities for every engineer is being creative as well as staying on top of innovations in engineering. BestRoboFest provides its guests with the opportunity to improve their engineering skills, communicate, and learn about new developments in the industry. In addition, BestRoboFest is a part of the engineering ecosystem, built by Maxim Polyakov and Association Noosphere. The ecosystem also includes the Noosphere Engineering School, where engineering enthusiasts develop their skills, and can even launch their own projects. Nowadays, engineers are the ones who are responsible for some of the greatest technologies and inventions that change the world. Everything from space vehicles to air conditioners require engineering skills and hard work. This is why engineering-oriented events aimed at growing a new generation of these professionals are so important. Moreover, Max Polyakov’s initiative, BestRoboFest, has become a part of the world-spanning Maker Movement, which unites a huge number of events all over the world. The movement was born in 2006 and has never changed its core principles - to inspire, innovate, and educate. Maker initiatives provide their participants with a great chance to present their innovative and challenging projects in engineering, technology, and science and to gain new skills. It’s worth mentioning that BestRoboFest, founded by Maxim Polyakov, became the first event of this kind in Ukraine. The festival gathers motivated and curious people who want to present their projects, get feedback and keep furthering their developments. BestRoboFest entry is free, so everyone is able to come. The organizers of the Dnipro-based festival, BestRoboFest, believe that event participants can boost the industry in Ukraine. Stay tuned with latest news and updates! 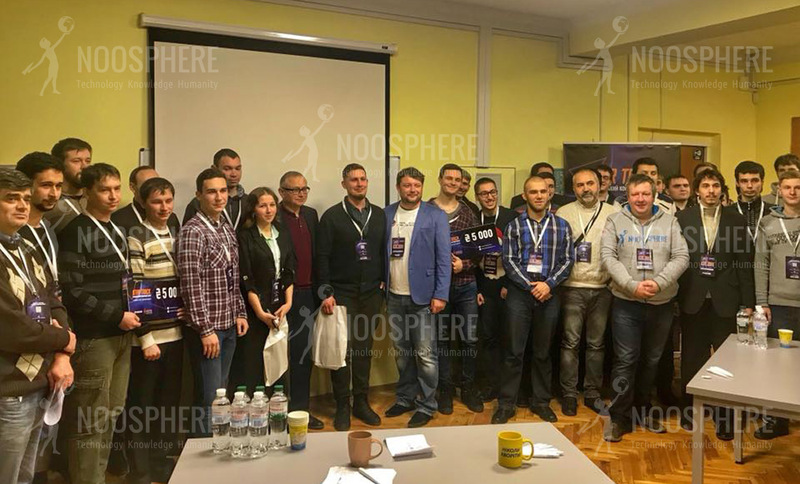 Association Noosphere, the organizer of the BestRoboFest, is sure that among the participants and fans of the festival there are talented engineers working in the fields of space technology and active bioelectronics. 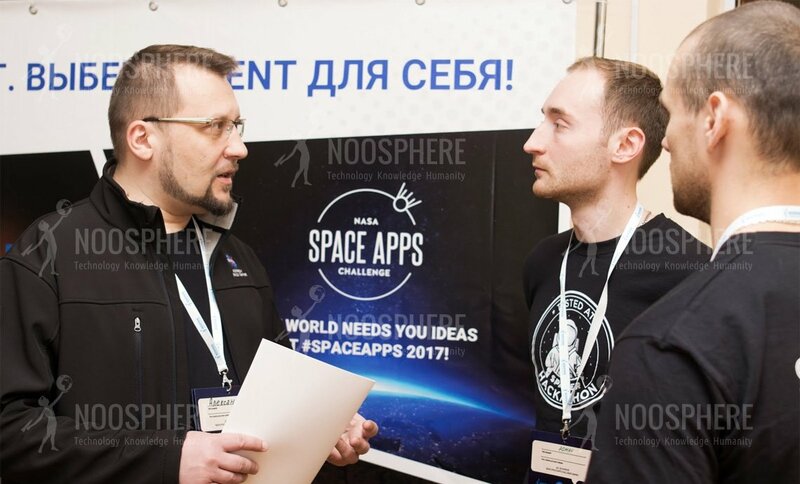 Max Polyakov, Founder of Association Noosphere, invites you to take part in the Vernadsky Challenge 2019 engineering startup competition. The deadline for accepting applications has been extended until April 1, 2019. The final, where the 10 best projects will take place, will be held April 17-18 as part of the Noosphere Space Summit. Teams with the most promising ideas will receive a grant for the development of a startup in the amount of 2М UAH (≈ $70k). Projects can participate in the competition at different stages: from the idea to the working prototype. Association Noosphere holds a competition for the best idea of ​​robo-contests. Max Polyakov, Founder of Association Noosphere, annually organizes the BestRoboFest summer festival. This year the organizers expand the competitive part and need ideas. Anyone can participate in the competition. The results will be announced on March 20. For the best idea, the organizers will award a prize - power bank. BMW iNEXT crossover. The uniqueness of this car - three-component intellectual technology Shy Tech. It includes the following intelligent systems: use of materials, lighting and projection programs, personal assistant. Walking car Hyundai Elevate. The machine has robotic legs, thanks to which it is able to walk. Four wheels electric bike Kia SEED. Power reserve - 100 km. For more comfortable trips, the SEED car is placed inside an autonomous BIRD car with a large power reserve. UAV Platform 3.0. The car is equipped with an optical rangefinder, which scans the area within a radius of 200 m.
Fully autonomous Toyota Boshoku ACES. It has a holographic panel, as well as external cameras, instead of side mirrors. Max Polyakov, Founder of Association Noosphere and the initiator of the BestRoboFest festival, is concerned about the issues of modern technologies, including the development of robotization. According to the World Economic Forum (WEF), about 20% of specialists can feel the influence of AI and robotization in their work by 2022. The robotics development will lead to the disappearance of 70 million jobs. In this case, by 2022 there will be 130 million places to work. WEF predicts staff reductions in the following professions: secretary, accountant, auditor, and cashier. In addition, job cuts are expected in mining, consumer, and IT companies. If in 2018 machines and algorithms has over 30% of the working time, in 2025 this figure would cross the line of 50%. Association Noosphere, Founded by Max Polyakov, spoke about the technologies that make autonomous driving possible and the startups that implement them. Autonomous driving systems include computer based driving functions, such as parking autopilot or cruise control. Companies that introduce such technologies include: Momenta, Amotive, OXBOTICA, drive.ai and AURORA. The companies ZOOX, Faraday Future, Nuro are working on the fully equipped vehicle creation. LIDAR recognition systems (detection and determination of range using light) are being developed by QUANERGY, Velodyne, oryx, INNOVIZ. SAVARY and Cohda Wireless are working on modern cellular technologies, V2X radio technology. Max Polyakov’s Association Noosphere, the organizer of MonsterСars UA at BestRoboFest, gathered the TOP-5 trends in the auto technology development in 2018. Car sharing - car rental with hourly rates, which is used for short trips inside the city. This decision is gaining more and more supporters. Thanks to it, the level of emissions to the atmosphere is reduced. Future technology Blockchain can solve one of the main automotive industry problems - fake parts. Off-road vehicles are in demand among the younger generation, as more and more people crave impressions, including traveling off-road. Also, crossovers are gaining popularity. Soon it will become a reality the production of cars or individual parts on 3D printers. Give "five" and call an ambulance. Home robots such as Vector and Kuri will remind you of a scheduled meeting, read a bedtime story to a child and become an alternative to a pet. Drive a truck. American Uber launched a delivery service on self-propelled trucks. Repair aircraft and do operations. Tiny robots are reliable assistants in surgery. They help to do the surgery without skin incisions. Go through the fire and jump. Cassie and DyRET robots can walk on flat surfaces and learn this themselves. And the latter also walk through the fire and drives a Segway. Do somersaults. The famous Atlas from Boston Dynamics can walk, run and open doors, as well as do back flips expertly. Resist the man. Developers carry out special tests for stability, in every way interfering with the robot to perform its task. Treat autism and deafness. QTrobot was created to help children with autism acquire basic social skills. Be a citizen. Robot Sofia received citizenship in the UAE. You can demonstrate your engineering skills not only at the BestRoboFest summer festival, but also at the Star Track space theme tournament, which was already the third time initiated by Max Polyakov, Founder of Association Noosphere. Topics of the tournament: microsatellites, launch vehicles, missile complex. And if there is another original idea on the space theme, the jury of the tournament will consider it within the Freestyle category framework. The application, abstracts of the report and an abridged version of the presentation must be submitted before December 15, and the pitching session will be held on December 22 at the Noosphere Engineering School. • Nadi Magnenat is another faculty member at the University of Geneva who recognizes faces and can recall previous conversations. MonsterCars UA at the BestRoboFest 2018 festival consisted of 20 monster cars. This is the second exhibition of machines from Max Polyakov’s Association Noosphere. The event was attended by 4 cities: Dnipro, Kiev, Zaporizhia, Kryvyi Rih. The total weight of the machines was 26 460 kg. The total weight of the winning cars is 4 360 kg. November 8 in the United States celebrate the day of STEM - education, which not only draws attention to the natural science component of training and innovative technologies, but also actively develops critical thinking. Max Polyakov, Founder of Association Noosphere, invites everyone to celebrate STEM day in the style of Science, technology, engineering and mathematics! • Read more about the tasks on the BestRoboFest page. 5) After completing the assignment, put a “+” in the comment to the post on the BestRoboFest page. The winner will receive a backpack from the Max Polyakov’s Association Noosphere! In 2018, the BestRoboFest celebration of engineering and robotics was remembered to visitors by an impressive exhibition of unusual MonsterСars UA machines. The participants of the exhibition were 20 monster cars from the Dnipro, Kyiv, Zaporizhya, Krivoy Rog. Especially for car lovers and fans of MonsterСars UA, Max Polyakov, Founder of Association Noosphere, shares information about the participants. MonsterCars UA is a spectacular contest of unusual cars. Traditionally, every summer, MonsterCars gather at the BestRoboFest festival. 2 basic requirements for MonsterCars from the organizers - the car must have an unusual look and be in motion. The organizers of the BestRoboFest - Association Noosphere, which was founded by the Ukrainian entrepreneur Max Polyakov - follow the world trends in robotics and share their research. The most popular branch of robotics is industry. For the first time industrial robots used in the factories of Henry Ford. They were stationary and used in the assembly of cars. The first company that started manufacturing them was founded in 1962. Then the main customers were Europe and Japan. Statistics on the use of industrial robots for 2018 is as follows: Asia - 65%, Europe - 17.3%, America - 13.6%, Africa - 2.8%. Robo geography by country looks like this: China - 50%, Korea - 19%, Japan - 18%, other Asian countries - 7.0%, Taiwan - 4.0%, Thailand - 1.0%, India - 1.0 %. It can be concluded that the most robotic industries are located in Asia, where China leads. The organizers of BestRoboFest conducted an analysis of robotics. They used the resources of the International Data Corporation (IDC) and the Boston Consulting Group, reports Max Polyakov. In 2021, the market of robotics will increase to 230 billion USD. Maximum demand is predicted in education - 72%, retail - 52%, construction - 37%, wholesale - 36% and insurance - 35%. The volume of the robotics market by 2025 could reach 80 billion USD. And this is against 15 billion USD in 2010. Max Polyakov lures all lovers of robotics to continue to engage in this promising direction and is waiting for new participants at the BestRoboFest 2019. Max Polyakov, the organizer of BestRoboFest, popularizes robotics and offers to visit the AsimovOlympics free children's Olympiad. Olympiad questions will concern robotics based on the Arduino and Makeblock hardware and software. Children can participate 9-12 years old. Online testing will take place from September 20 to October 14. The event itself will be held on October 20. Within 2 hours, participants will connect and program robots. Young designers will compete for a prize of 100 000 UAH, the title of “AsimovChoise”, as well as an educational trip to the Netherlands. Max Polyakov thanks the masters of the Dnipro forge "Bastion" for "Dobrobot"
Robot volunteer "Dobrobot" became a highlight of the BestRoboFest 2018. The metal body consists of 782 parts and weighs 180 kg with a height of 2 m 17 cm. The robot is equipped with a bill acceptor and is designed to raise funds for charity. It was created by masters from the first Dnipro forge "Bastion". They can order metal products at a bargain price, various shapes, sizes and styles. The forge offers a full range of services: design, visualization, delivery and installation. On BestRoboFest 2018 there was an expo zone where various master classes were held. Young and curious visitors designed robots, understood electronics and programmed. In this expo zone was a 3D printer where children printed parts for their robots, and then learned how to manage them. Max Polyakov says that parents at this time could get acquainted with the programs of technological educational courses that teach children to succeed in the digital world. After the master classes, the children attended the museum of entertaining science. Here they and their parents were visually and easily shown the actions of the laws of physics and various exhibits. Thanks to the Dnipro Planetarium, guests of BestRoboFest could see the stars in a telescope, and in the "space" photozone make a photo in memory of the event. In the framework of BestRoboFest, except for the exposures, robotics, play zone for kids, master classes were the MonsterCars machines, from Ukrainian engineers. Max Polyakov says that the exhibition 2018 had interesting exhibits that were not presented in 2017. The jury were: Mikhail Ryabokon, Max Kozunov and Larisa Maksimenko. Awarding the winners waited 2 days. Jury has prepared cash prizes for three winners - 5, 3 and 1 thousand dollars. The first places and their prizes were given to Techchevoz, Z-Max and Phantom BMW. Guests were impressed by the show from the owners of one monster car called Thor. In front of the audience Thor drove into a Soviet car and tried to crush it with all his might. Max Polyakov talks about the high attendance rate of the BestRoboFest 2018 technology festival. More than 25 thousand visitors came to the event. In the main zone of the "robo-battles" there were four types of competitions. More than 200 participants from 13 cities of Ukraine presented their robots. And the participants of the Dnipro, Poltava, Zaporizhya, Kherson and Cherkassy became prize-winners of the robot competitions. In the Copter Race zone, 11 pilot participants demonstrated professional copter control. Twenty one unusual cars were presented at the MonsterCars UA exhibition. The record holder at the festival was a metal robot named Dobrobot, whose growth is more than 2 meters, weight about 180 kilograms and is constructed of 782 parts. For 2 days the robot-volunteer collected 1489 UAH for Dnepropetrovsk Children's City Hospital No. 3. As part of the BestRoboFest 2018 festival, on the tennis-court of the Bartolomeo Best River Resort, the exciting Copter Race Show took place. 11 participants skillfully managed their drones. Guests of the festival could get into virtual reality thanks to the feature of the "eye of the drone" and feel like a сopter pilot. This entertainment appealed not only to children, but also to adults. Within the framework of the festival, there were master classes on piloting mini drones, where everyone interested took part with great excitement. Max Polyakov also reminded that last year Noosphere Race Cup - World Cup for drone-racing stage - took place for the first time in Dnipro as part of organized by Association Noophere Copter Race annual racing. Association Noophere plans to apply for organizing the World cup for drone-racing 2019 in Ukraine. Max Polyakov, Founder of Association Noosphere, noted the feature of one of the competition types on BestRoboFest 2018. For those who are fond of programming, the organizers conducted Scratch competition. The essence of it is creating a game on a specific topic. This year, Association Noosphere has chosen the «Space exploration» topic. No more than 2 participants (up to 14 years) and their coach took part in the competition.. The medium for creating the software part was Scratch or S4A. The hardware was created from WeDo or Arduino sets. Robot School, "Aitishka" and "Gurtom" have become the winners of this type of competition. This year, Robo Sumo was presented by both robots made from Lego sets and original robots. These two types of competition were divided into two sub-categories: managed (using a console or tablet) and autonomous (when the robot is controlled by the program). In both categories the robot-sumoist had to push his opponent out of the field. In the autonomous author's Robo Sumo, the winners were the Hoopty team from the Dnipro and Igor Sopin from Zaporizhzhia. In the author's managed Robo Sumo, the jury identified 2 teams: "Robots House" and Head Works from the Dnipro. The winner of managed sumo was Maxim Dmitrenko. In the autonomous sumo, the best was the Sopin Vladislav’s robot. 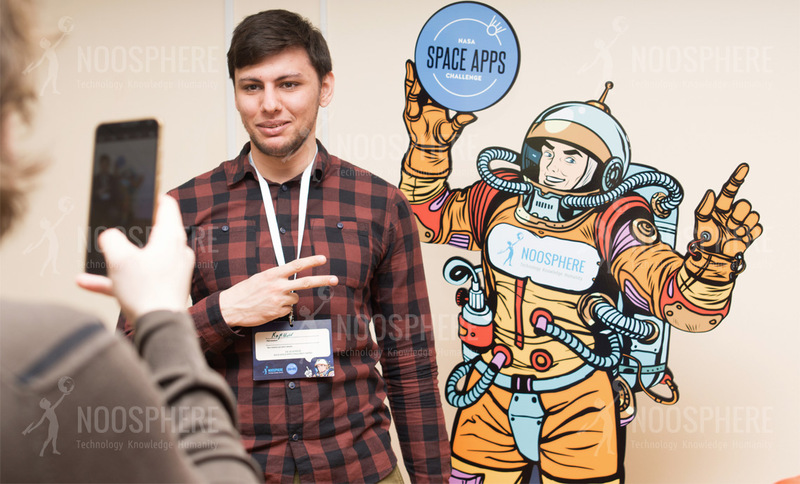 Max Polyakov, Founder of Association Noosphere, organized BestRoboFest to attract talented engineers and promote new technologies. Max Polyakov, Founder of Association Noosphere, was the initiator of the Innovation and Robotics Festival BestRoboFest 2018. The event took place on June 2-3 in the Dnipro. Participants and guests came from different parts of Ukraine: Zaporizhzhya, Kryvyi Rih, Kherson, Cherkassy, Kyiv and other cities. The guests of the festival were met by a zone of unusual cars MonsterCarsUA 2018, where talented engineers demonstrated their creations. Battles of robots included 4 types of competitions: Robo Race, Robo Sumo, Scratch and Free Style. MonsterCarsUA 2018, an open contest for custom car and bike developers, will take place on June 2-3 in Dnipro. If you wish to win a $5000, $3000, or $1000 grant for 1st, 2nd or 3rd places respectively, enter your modified vehicles, custom builds, handcrafted monster cars, motorcycles, or bikes in the contest. Buggies, trikes, choppers, cruiser bikes, monster modified cars and monster vehicles are eligible, no matter how many wheels you ride on. Also, kinetic sculptures and moving mechanical projects are eligible. This year, BestRoboFest, arranged by Maxim Polyakov and Association Noosphere, was a two-day family fair of robot contests, a modern art zone, and a technical exhibition. It was held on June 3-4 at the stadium Meteor and attracted more attention than past year, breaking the 10,000 attendance mark! The exhibition of handmade vehicles appeared to be the heart of the fair, and the holders of the best vehicles were granted $5000, $3000 and $1000 respectively. 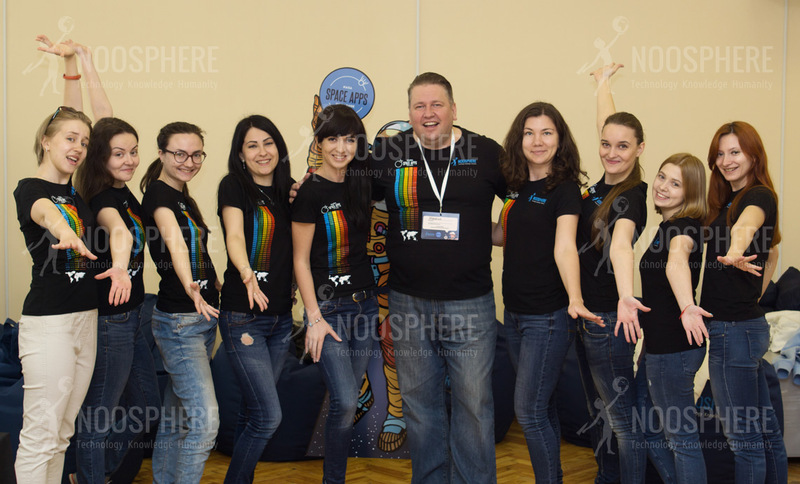 The Noosphere-organized event BestRoboFest 2016 took place on June 4-5 in Dnipro. With Max Polyakov’s support, this unique event brought together professional and amateur innovators, as well as handcrafted robots. Three thousand people visited the festival. There were various robotics competitions, as well as an art-zone and expo-zone. The best custom-made robots won 15 000₴, 10 000₴ and 5 000₴ grants for first, second and third places respectively. It was a nice boost for each of the tech enthusiast to keep on doing their work and to invent new technologies. In 2017 BestRoboFest expanded its boundaries and launched its new exhibit, Monster Cars UA. MonsterCarsUA was a breathtaking show which gathered custom builds, handcrafted monster cars, motorcycles, and bikes from all over Ukraine in one place for two days. Guests of the festival were able to see awesomely handcrafted buggies, trikes, and monster modified cars. Nearly 20 vehicle builders competed for the cash prizes. One of the most exciting improvements of BestRoboFest 2017 was the opening of a new festival zone - Art zone. Festival guests explored this zone to experience a fantastic creative atmosphere with plenty of colors and ideas. Everyone was able to draw whatever they wanted on the special art canvas at the festival.The main theme of the Art zone was the Mad Max movie. BestRoboFest guests were welcomed to draw awesome post-apocalyptic cars and vehicles which appeared in the film. MonterCarsUA, launched by Association Noosphere and Max Polyakov in 2017, became the first monster vehicle show in Ukraine. It gathered car and bike builders who had designed Mad Max-themed vehicles. The main goal of arranging this show was to find the most creative bike and car builders and promote this kind of creativity. It is worth mentioning that some bikes built by Ukrainians look awesome thanks to efforts of their creators. Arranging MonterCarsUA, the organizers would like to show this beauty to so many people as possible and to encourage Ukrainian car and bike builders keep up their work. Follow another social and scientific projects supported by Max Polyakov at max-polyakov.engineering, max-polyakov.events, max-polyakov.institute, max-polyakov.marketing, max-polyakov.training.